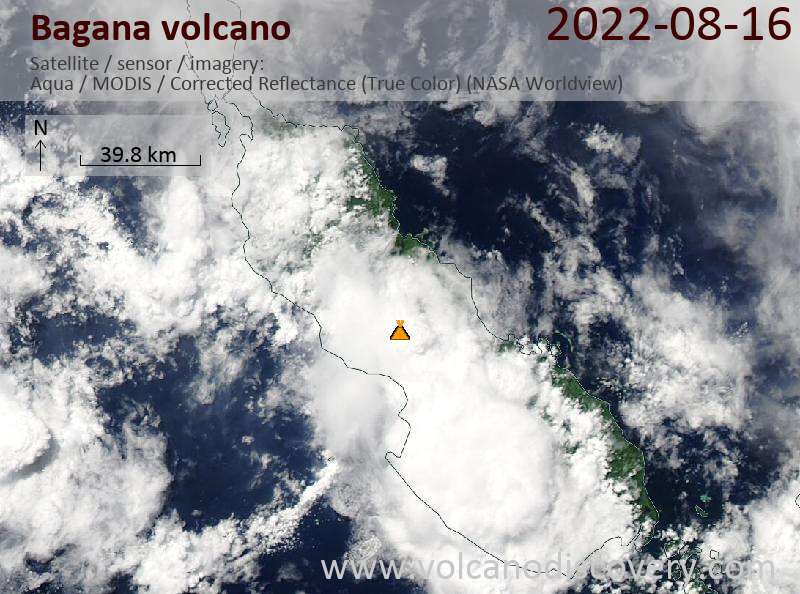 Bagana volcano on Bougainville Island is one of the world's most active volcanoes. It has erupted frequently since its discovery in 1842. It is located on a remote part of central Bougainville Island in the Northern Solomon Province of Papua New Guinea. Bagana volcano is a massive, symmetrical, roughly 1750-m-high cone built largely by rapid accumulation of viscous andesitic lava flows. The present-day cone might only be 300 years old. Major eruptions occurred in 1950, 1952, and 1966. 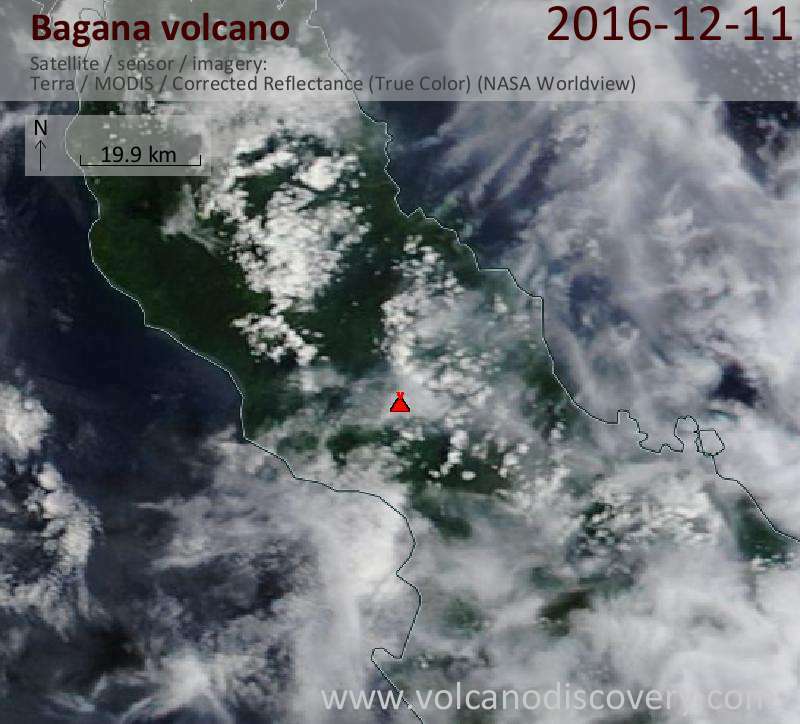 Bagana has been in near- continuous activity since 1972, creating slow-moving lava flows, and occasionally ash explosions that sometimes produce pyroclastic flows. The volcano has been in near-continuous activity since the earliest records from the 18th century. 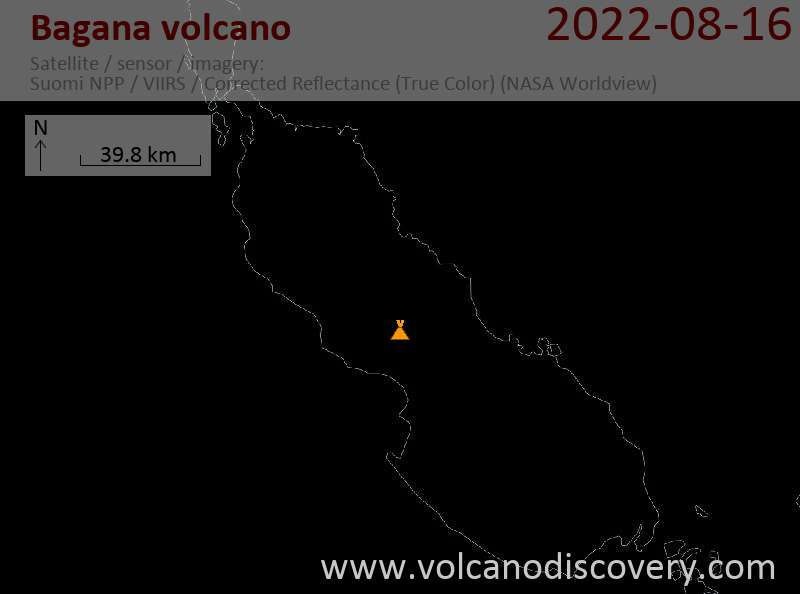 Bagana volcano Volcanic Ash Advisory: VA OBS TO FL070 EXT 40NM TO NE AT 11/2220Z.